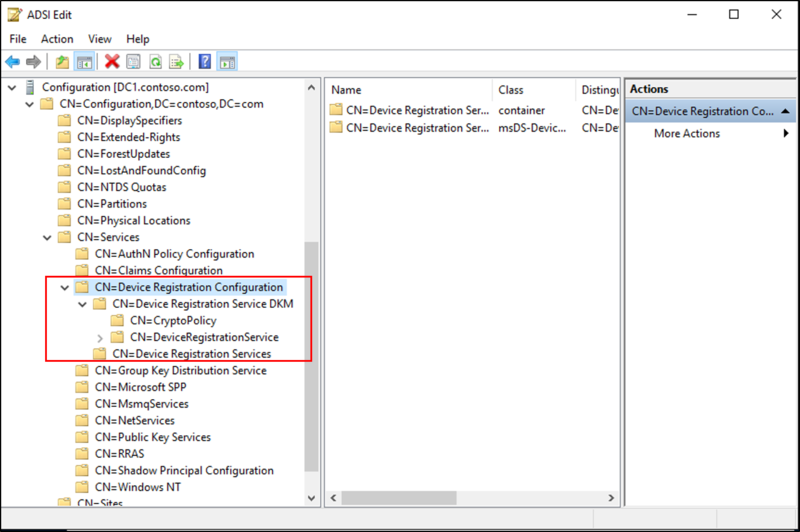 The following document will guide you through installing and configuring on-premises conditional access with registered devices. The following per-requisites are required before you can begin with on-premises conditional access. Azure AD Connect November 2015 QFE or later. Get the latest version here. Windows Server 2016 Active Directory schema Schema level 85 or higher is required. Windows Server 2016 domain controller This is only required for Hello For Business key-trust deployments. Additional information can be found at here. If you installed Azure AD Connect prior to upgrading to the schema version (level 85 or greater) in Windows Server 2016, you will need to re-run the Azure AD Connect installation and refresh the on-premises AD schema to ensure the synchronization rule for msDS-KeyCredentialLink is configured. 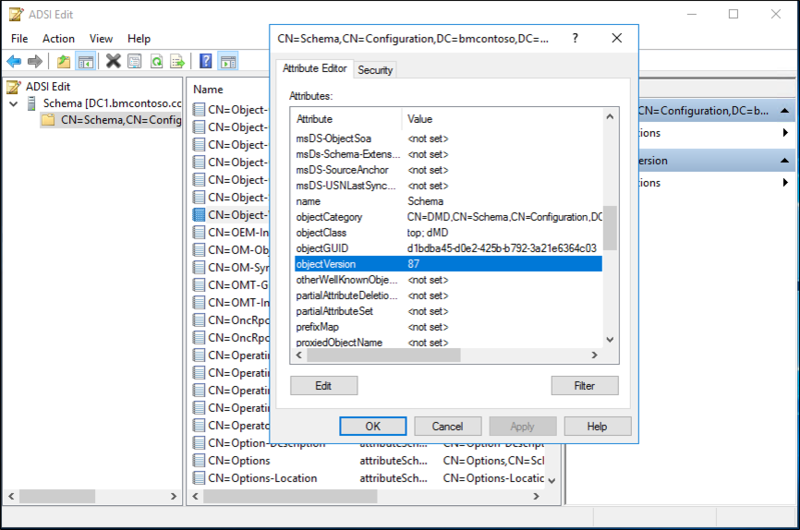 You can use ADSIEdit or LDP and connect to the Schema Naming Context. Using ADSIEdit, right-click on "CN=Schema,CN=Configuration,DC=,DC= and select properties. Relpace domain and the com portions with your forest information. Under the Attribute Editor locate the objectVersion attribute and it will tell you, your version. For additional information on upgrading, see Upgrade Domain Controllers to Windows Server 2016. 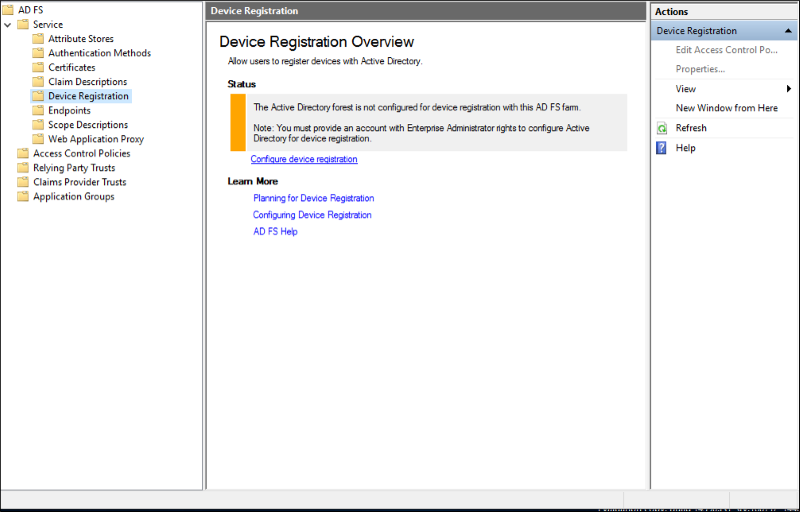 To configure this scenario, you must configure the device registration capability in Azure AD. Create the a new AD FS 2016 farm. Deploy Azure AD Connect using the Custom path to connect AD FS to Azure AD. If you ran Azure AD Connect using Express Settings, the correct AD objects have been created for you. However, in most AD FS scenarios, Azure AD Connect was run with Custom Settings to configure AD FS, so the below steps are necessary. 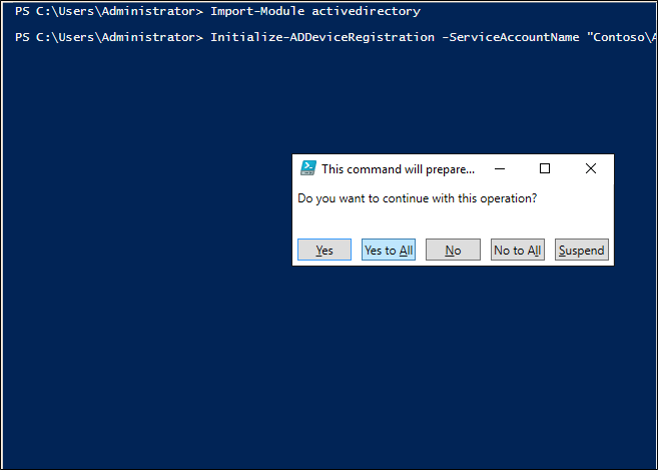 If your AD FS farm is not already configured for Device Authentication (you can see this in the AD FS Management console under Service -> Device Registration), use the following steps to create the correct AD DS objects and configuration. Note: The below commands require Active Directory administration tools, so if your federation server is not also a domain controller, first install the tools using step 1 below. Otherwise you can skip step 1. 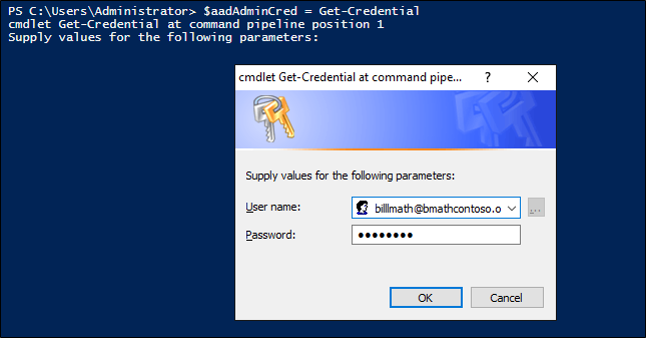 Run the Add Roles & Features wizard and select feature Remote Server Administration Tools -> Role Administration Tools -> AD DS and AD LDS Tools -> Choose both the Active Directory module for Windows PowerShell and the AD DS Tools. PS C:\> Initialize-ADDeviceRegistration -ServiceAccountName "<your service account>"
On the pop-up window hit Yes. Note: If your AD FS service is configured to use a GMSA account, enter the account name in the format "domain\accountname$"
Once this is done, you will see a successful completion message. 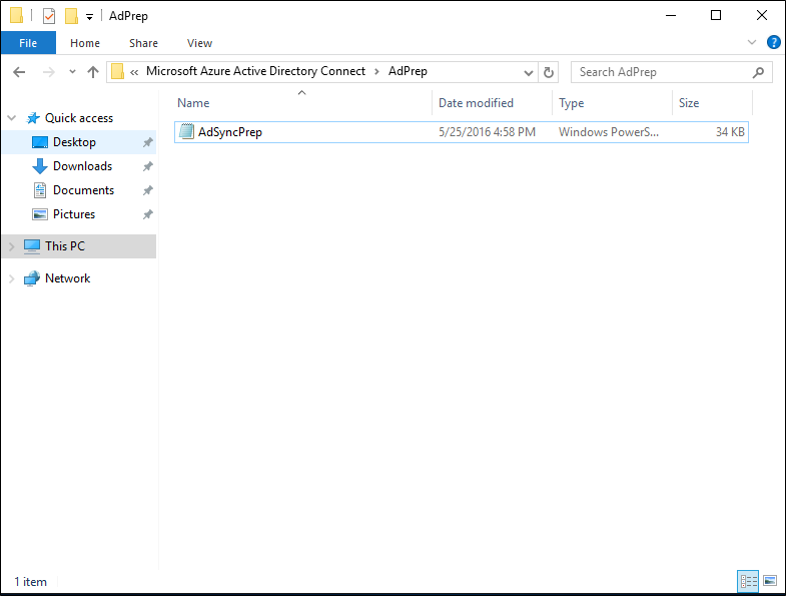 PS C:>Import-Module -Name "C:\Program Files\Microsoft Azure Active Directory Connect\AdPrep\AdSyncPrep.psm1"
Where the [AD connector account name] is the name of the account you configured in Azure AD Connect when adding your on-premises AD DS directory. 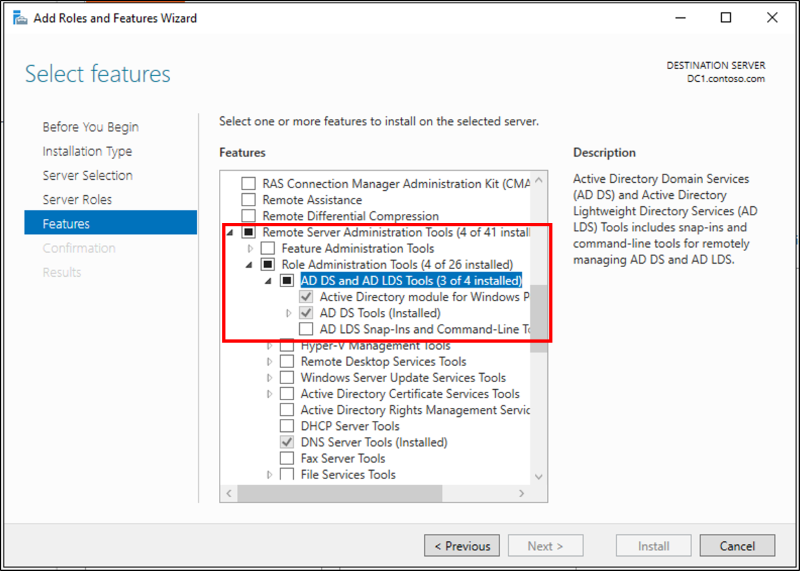 The above commands enable Windows 10 clients to find the correct Azure AD domain to join by creating the serviceConnectionpoint object in AD DS. 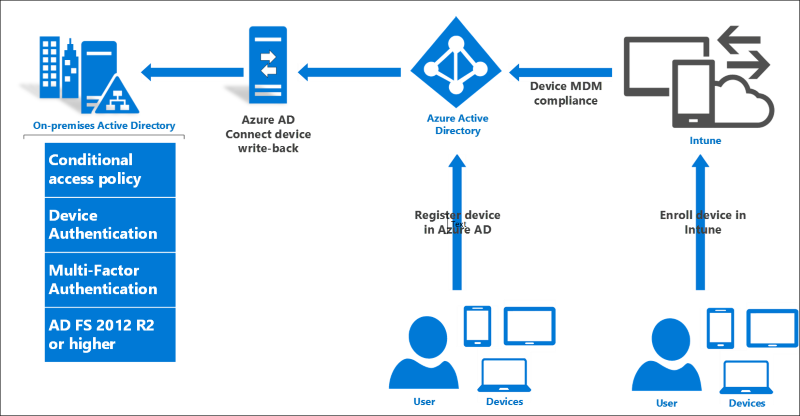 To ensure AD DS objects and containers are in the correct state for write back of devices from Azure AD, do the following. To evaluate the new claims and policies, first register a device. For example, you can Azure AD Join a Windows 10 computer using the Settings app under System -> About, or you can setup Windows 10 domain join with automatic device registration following the additional steps here. For information on joining Windows 10 mobile devices, see the document here. For easiest evaluation, sign on to AD FS using a test application that shows a list of claims. You will be able to see new claims including isManaged, isCompliant, and trusttype. If you enable Microsoft Passport for work, you will also see the prt claim. To enable automatic device registration for Windows 10 domain joined computers, follow steps 1 and 2 here. Ensure your service connection point in AD DS exists and has the proper permissions (we created this object above, but it does not hurt to double check). For information on enabling Windows 10 with Microsoft Passport for Work, see Enable Microsoft Passport for Work in your organization. To enable automatic MDM enrollment of registered devices so that you can use the isCompliant claim in your access control policy, follow the steps here. 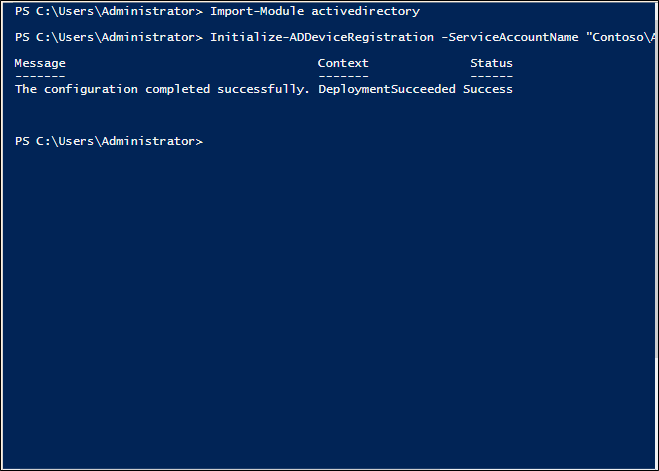 if you get an error on Initialize-ADDeviceRegistration that complains about an object already existing in the wrong state, such as "The drs service object has been found without all the required attributes", you may have executed Azure AD Connect powershell commands previously and have a partial configuration in AD DS. Try deleting manually the objects under CN=Device Registration Configuration,CN=Services,CN=Configuration,DC=<domain> and trying again. 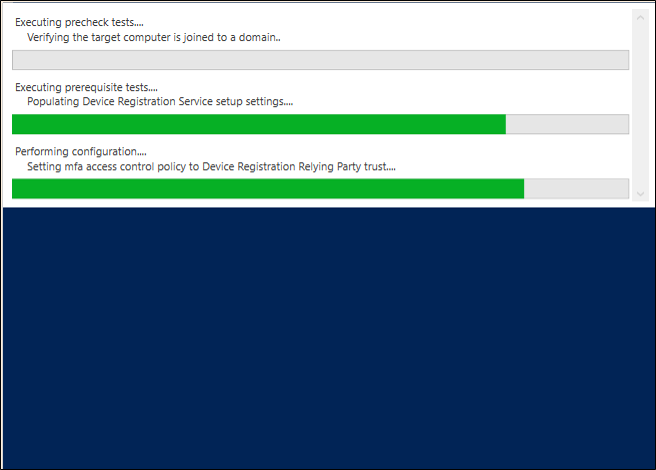 To verify that device authentication is working, sign on to the domain joined client as a test user account. To trigger provisioning quickly, lock and unlock the desktop at least one time.